The New Zealand Mint, together with the Island of Niue in the South Pacific, created this stunning .999 silver coin. The reverse of this coin features two Chinese dragons, known as ancient symbols of strength and power; they chase after the flaming pearl, which represents immortality, wisdom, prosperity and energy. Placed within a trimmed and decorative frame and in a unique refractory design field, the reverse feature is united only by the details of the weight and purity of the coin. The obverse of the coin features Ian Rank-Broadley's portrayal of Elizabeth II, on a "dragon-scale" drawing engraved in micro-engraving, within the same trimmed frame. 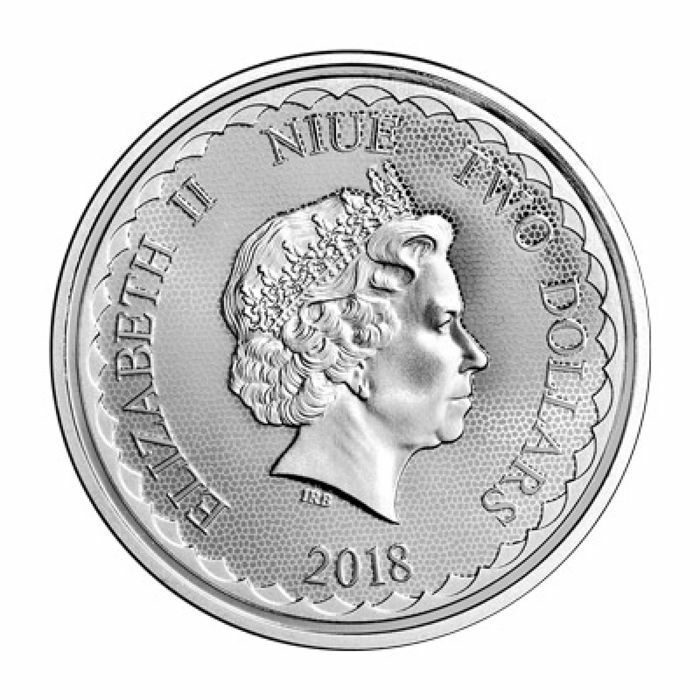 Also on the obverse, the denominational currency value of $ 2 NZD, the names 'Niue' and 'Elizabeth II', also appear in the currency. 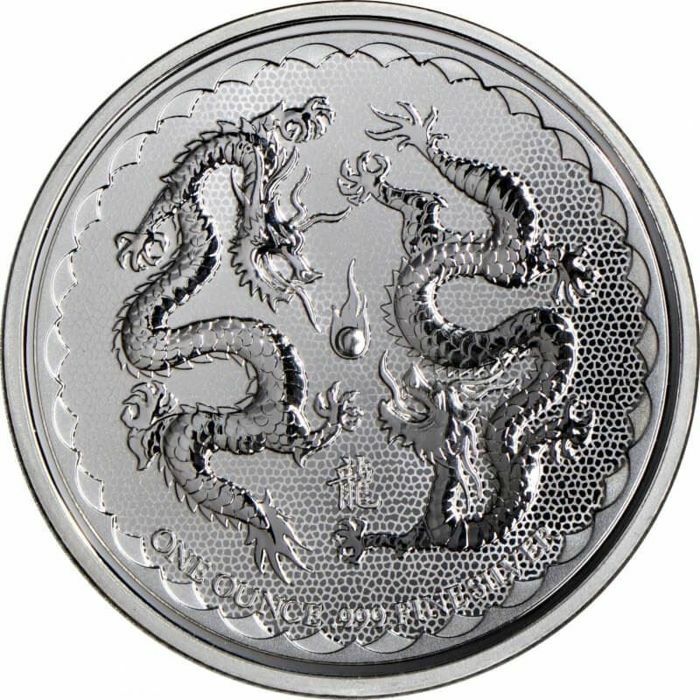 The Double Dragon of the New Zealand Mint legal won an ounce of 0.999 fine silver. 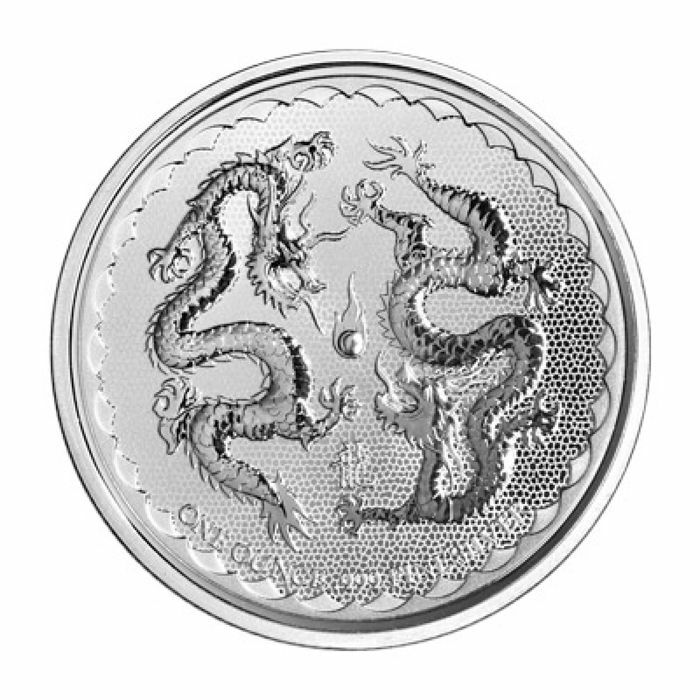 The legal tender features two majestic dragons chasing the flaming pearl. The dragon is the symbol of power, strength and good luck. The pearl represents spiritual energy, wisdom, prosperity and immortality. The reverse indicates the weight of an ounce and the fineness of silver .999. Contains 1 ounce of .999 fine silver. 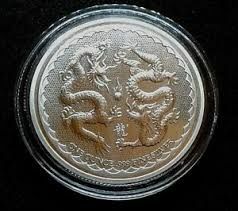 Obverse: Features two majestic dragons chasing the flaming pearl. The dragon is the symbol of power, strength and good luck. The pearl represents spiritual energy, wisdom, prosperity and immortality. 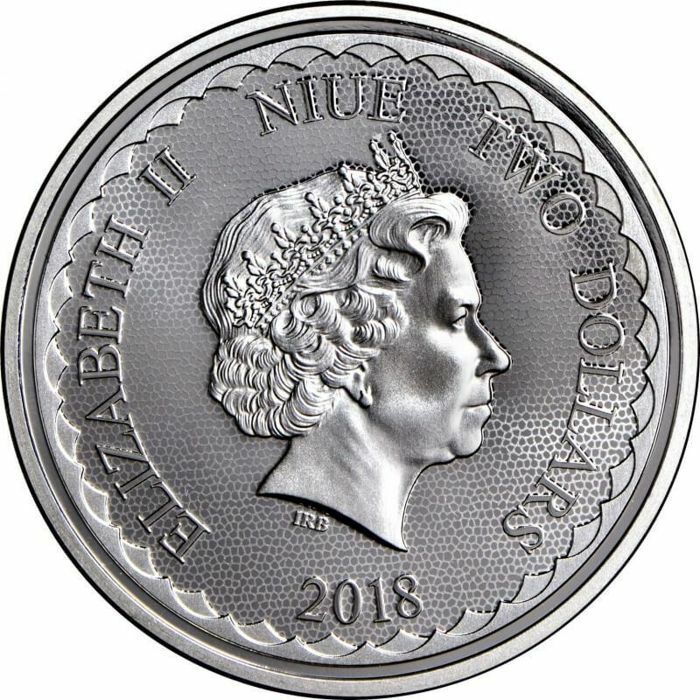 Reverse: Effigy of Queen Elizabeth II and date 2018 in the inner circle and a ripple stacked in the outer circle. Made by New Zealand Mint. Add this coin 2018 1 oz Double Dragon from New Zealand Mint to your collection today!